Cultural Studies Food and Justice Week: Laurie Foote on Fair Trade Chocolate. Tuesday, October 27 at 6:00 p.m. in room 204. Educate your palate and your mind during the 3rd annual Cultural Studies Food and Justice Week involving tastings and talks on food justice around the world. Laurie Foote will describe the Central American origins of Equal Exchange’s many varieties of fair trade chocolates. Delicious food samples will be provided at this ACS-approved event! One of the many cool things about snooping through archived newspapers is price-comparing household goods. Nothing gives you more of a culture shock (or time period shock!) than seeing a full-sized refrigerator for 12 bucks! Check out new digital library additions for the week here, and more vintage and digitized newspapers from The Catholic Standard and Times here. GOT SPOOKY PLANS FOR THE WEEKEND? This time of year, you may encounter scary delights wherever you turn! 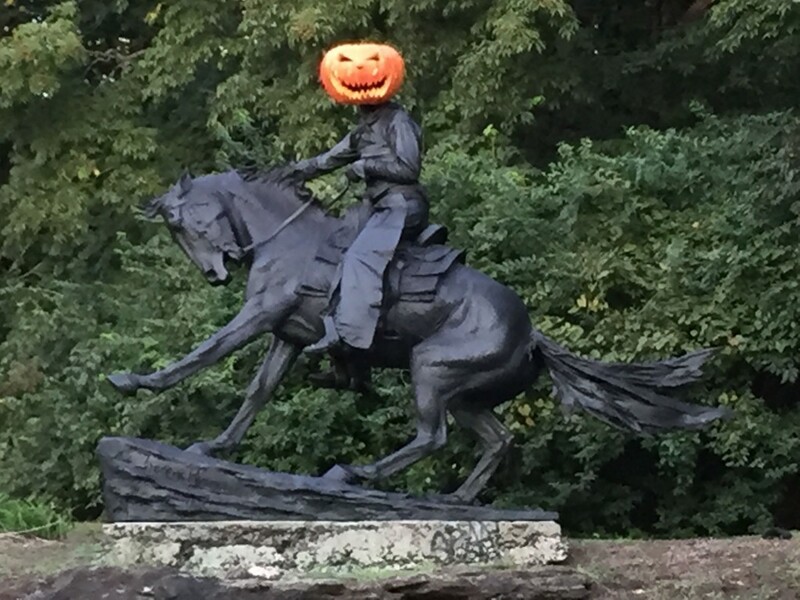 Even during a seemingly innocent walk down Kelly Drive, you may come upon a strange alchemic lovechild of Frederic Remington’s Cowboy and Washington Irving. Is it a ghostly apparition, a frat prank or a real decoration? No matter – act fast and get a selfie with it before the squirrels discover it too! 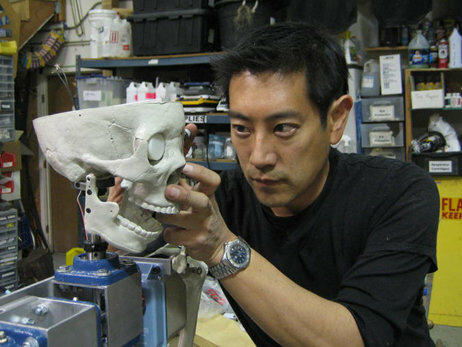 Grant Imahara is 45 today, and his birthday comes on the tail of the announcement that Mythbusters is coming to an end in 2016. Imahara has a degree in electrical engineering and he’s an electronics expert well-known for co-hosting the aforementioned Discovery Channel series. He’s also worked on the sets of films such as Jurassic Park and Terminator 3 in the visual effects department. And, with Star Wars hype running high, it’s very cool to note that Imahara is an “official Artoo technician,” having worked on the R2-D2 robots for the prequel trilogy.